When it comes to siding, you can count on Peak Roofing Contractors to provide you with the best siding options. 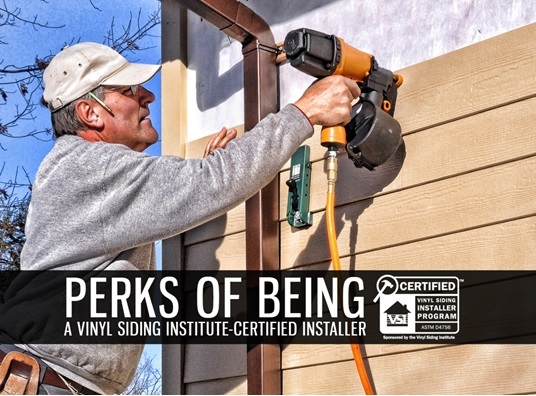 We take pride in being a Vinyl Siding Institute or VSI-certified installer, which helps us provide better service to our clients. VSI is a trade association for vinyl and other polymeric siding manufacturers, as well as suppliers to the industry. As one of the few siding contractors in Manassas, VA with VSI certification, we have access to up-to-date information about siding and installation methods. We are familiar with a wide range of siding and we know how to install each of them properly. This also helps us identify siding problems, as well as take the proper steps to fix them. You can also rely on us to recommend the best siding material for your home, such as our insulated vinyl siding. Aside from their natural advantages, each vinyl siding features strong insulation foam that can reduce the amount of heat that builds up in your home. They can also reduce the amount of outdoor noise, assuring you of a quieter interior. Being a VSI handyman in Manassas, VA, means undergoing strict and extensive training. We implement the best practices to ensure a successful siding installation. This means you can expect your siding to endure and perform for years to come. In addition, our products come with warranties for your peace of mind. For over 20 years, we have been consistent in meeting the needs of our clients, regardless if it is about their siding, roofing, or gutters in Manassas, VA. Many organizations recognize the quality of our work, such as the Better Business Bureau and the National Roofing Contractors Association. Having a VSI certification, in addition to these, makes us a trustworthy siding company. Count on VSI-certified installers such as Peak Roofing Contractors, to provide you with excellent results. Call us today at (703) 745-5153 and find out more about us.